If you have ever been arrested for a Orange County DUI, it can be a very unpleasant experience. For many people, this will be the only crime they will ever be charged with. DUI charges are filed against approximately 1.5 million drivers each year, and can happen to you even when you feel perfectly able to drive. There is no leeway beyond a blood alcohol level of .08% currently. The penalties for driving under the influence in California are very strict, even for a first offense DUI offenders. Suspension of your right to drive, fines of almost $ 2,000.00, mandatory attendance of a State or DMV approved alcohol program, and jail time. In addition, DUI convictions remain on your DMV record for at least 10 years, which leads to much higher insurance premiums, and reduced coverage. If you have a professional license from the State of California, the consequences can include a suspension, revocation or having to be placed on probation. The severity of penalties may also hinge on any prior criminal history. It is important to contact a criminal defense attorney immediately. Given that so much is at stake in a DUI case and because DUI defense is a technically and highly specialized field involving medical terminology, etc.. An experienced criminal defense attorney who understands the complexity of DUI law, can be of great importance . Someone who can guide you through the criminal justice system and the Admin Per Se Hearing of the Department of Motor Vehicles (DMV). The penalties you will receive will often be based upon the skill sets of your defense attorney. Prosecutors have many years of legal training in this area and are extremely difficult to contend with on your own. When a person is arrested for a DUI, there is a DMV hearing (Administrative Per Se Hearing) process, and a Criminal Court process. Unlike the Criminal Court process, the “Administrative Per Se Hearing” with the Department of Motor Vehicles is a civil matter. It is crucial that any individual charged with a ORANGE COUNTY DUI who needs to maintain a valid drivers license call the California Department of Mother Vehicles within 10 DAYS to request a hearing. Failure to do so will result in mandatory suspension of their license, taking effect 30 days after charges are filed. 1. 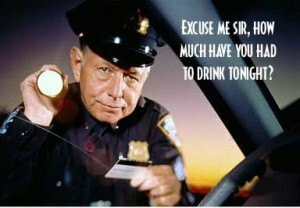 Did the arresting officer have reasonable cause to believe that you were driving under the influence? 2. Was the arrest handled properly following every applicable rule and regulation? 3. Was your blood alcohol certifiably 0.08% or higher at the time? The DMV hearing is completely separate from the Criminal Court process, and a “set aside” of the suspension from the DMV has no relation to the outcome in Criminal Court, and vice versa. In addition to the DMV’s Administrative Per Se Hearing, you must also deal with the Criminal Courts. In Court, any person charged with a DUI will often face hefty fines, probation, AA and/or DUI classes, penitential high insurance premiums, and even jail time. Because you have to win both the DMV Administrative Per Se Hearing and in Criminal Court in order to prevent your license from being suspended, you need an attorney who is qualified to handle all aspects of your ORANGE COUNTY DUI case. Here is some thoughts that you might find helpful, If you want to save yourself $2,500.00 to $7,500.00 in Attorney’s fees. You can categorize your DUI before retaining an attorney. Each of the above catogaries have a very different punishment or consequences. While the 1st catogary has no jail consequance , and the standard offer (with or with out a lawyer) is $390.00 plus penalty assessments , 3 years of informal probation, MADD class, alcohol program (3,6 or 9 months, depending on blood alcohol content) plus some other fees . All in all just under $2000.00. If you , plan to enter a guilty plea on your 1st court appearance , you will not need a lawyer, and hence attorney fees savings. If however, you wish to explore possible defenses to your DUI case, or you fall in the other 4 categories , you need an attorney, as jail is now a very real possibility.